Whether you love or loathe CNN—and everyone seems to have an opinion these days, including Donald Trump—it’s hard to ignore the puckish wisdom that informs its Fear and Greed Index (FGI). Stock Price Breadth: How far has share volume either advanced or declined on the New York Stock Exchange? Here, the FGI relies on data from the McClellan Volume Summation Index. Market Momentum: How far is the S&P 500 above or below its 125-day average? Junk Bond Demand: Are investors pursuing higher risk strategies? Safe Haven Demand: Are investors rotating into stocks from the relative safety of bonds? Stock Price Strength: What is the tally of stocks hitting 52-week highs as to those at one-year lows? Market Volatility: Here CNN employs the Chicago Board Options Exchange’s Volatility Index, or VIX, concentrating on a 50-day moving average. Put and Call Options: To what extent do put options lag behind call options (greed) or surpass them (fear)? Put options allow investors to sell at an agreed price on or before a specified date, which call options work the same way, only with buying. Yet that supposes that you’ll use the index for short-term gain when in reality, it can be employed much more effectively to support getting into the market at the right time. To do that, you’ll want to consider timing your investment entry point when the index tips towards fear. Why is this? For starters, you’d be imitating no less an authority than billionaire Warren Buffett, who has famously stated that he doesn’t merely like to buy stocks when they’re low: “The best thing that happens to us is when a great company gets into temporary trouble. … We want to buy them when they're on the operating table." And so taken that way, the FGI becomes something of a bellwether for when fear is at its peak, and irrational anxiety guides the actions of otherwise collected investors. And here’s the fascinating part: If you look at the index, spikes of greed alternate with troughs of fear with rollercoaster precision, and with little moderation in between. In the stretch from mid-2014 to summer 2017, you can count 10 times when the index hit a peak at 60 or above, only to plummet as low as 10 (in the latter half of 2015). Oddly enough, the one stretch where the index has stayed around 50 for a prolonged period has been this year, roughly corresponding to the second quarter. Not that Buffett uses the FGI, but here’s how he might, and how you could, too: Look out for strong currents of fear and when they hit, keep an eye out for companies that are undervalued. That way, you can uncover some otherwise hidden opportunities for great investment, provided you stay with the stock for the long haul. While the Fear and Greed Index might sound like a fun investment metric, there’s a strong case to be made for its merit. Consider, for example, the fascinating (and perhaps wacky) research that has gone into the foundations of a related field known as behavioral finance. For example: Some scientists have studied how often rats press a bar in hopes of getting a reward: Ah yes, a new twist on the rat race. 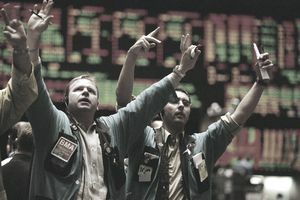 The real turning point for behavioral finance came in 1979, when psychologists Daniel Kahneman and Amos Tversky developed “prospect theory,” which explains how the same person can be both risk averse and risk taking. Their ideas, by the way, helped formed the decision-making process depicted in the movie "Moneyball," a true story based on the rebuilding of the Oakland A's baseball team. In a nutshell, fear and greed can drive investment a lot more than you might think—at least when we’re not caught up in those emotions ourselves. When it comes to investing, people make decisions two ways. The first way is based on mathematical models and statistics, such as the price-to-earnings ratio (which shows you whether a company’s stock is overvalued, undervalued or priced just right). Or, you can work via gut feelings, the way poker players do. Rarely are the two styles mutually exclusive. Maybe you researched an SUV purchase by studying price points, performance and ratings in Consumer Reports. Then you found the one with heated seats, and whipped out your checkbook. The same sort of logic applies to stocks, and the motivations behind why people purchase them. There are also other factors behavioral experts track, ranging from loss aversion to the role of good old-fashioned envy—greed’s close cousin, you might say. Sadly, much fear and greed stems from a lack of planning and education. And in that way, investment isn’t all that different from other avenues of life. By way of analogy, somewhere between gorging and starving one’s self, eating junk and overdoing restraint, lies a happy medium informed by sound dietary principles learned and practiced over the course of a lifetime. All this calls to mind whether the Fear and Greed Index could be supplemented by five more factors: not just envy, but also pride, covetousness, lust, gluttony and envy. That covers five of the seven deadly sins, anyway. You can save anger for when your investments go bust—and sloth for when they go boom.